A colleague of mine Aaron M. Renn, known as The Urbanophile, is receiving national acclaim for his insights on emerging urban issues. Aaron’s mission is to help America’s cities thrive and find sustainable success in the 21st century. His particular focus is the oft-overlooked cities of the Midwest. It’s a legitimate question as to whether it makes sense to build high speed rail. It’s a gamble on the benefits vs. the cost, but in a region that’s struggling, you’ve got to lay a few bets. This is one I’d take. The best bet is a real high speed rail system though, that would change the transportation game in the Midwest, not “Amtrak on steroids” pseudo-HSR. The emerging real center of the region is the I-75 corridor in Butler and Warren Counties. These two regions might be combining, but neither is growing fast. This means it is really sprawl driving this. There could be some branding benefits from a bigger population, but probably minor. Rust Belt cities have experienced huge population loss in the core along with aging infrastructure. Frankly, in some cities, the infrastructure was never that great. Investments to renew it however may be beyond the abilities of the cities to pull off. That’s why you are seeing targeted investments and even “shrinking cities” movements. The Rust Belt can’t just imitate Portland (OR) though. They have to have unique innovations and a differentiated product to attract people. Whether or not urban farming is Detroit’s solution, the fact that there are so many people coming there to try out different things is great. Detroit could potentially be one of the great urban innovation laboratories of the next decade. This makes it arguably an exciting city to be part of. I’m less interested of the impact of homelessness on the city than I am on actual homeless people. Clearly there are people who either have mental problems or severe substance abuse problems and we can take a more aggressive line with them. But there is work to do in figuring out how to get everyone else the services and help they need, especially in this economy, and ultimately find them housing, a job, and get them back on their feet. This is a problem we shouldn’t allow in a country as rich as America. Rural towns are drying up and I don’t see any real change in that, unless there is some unique local catalyst like suburban engulfment, some particular amenity, or something like that. Perhaps things like a renewal of small scale organic farming, some telecommuters opting for a rural lifestyle, recreation, etc. may ultimately change things, but I’m not optimistic in the short term. It’s kind of sad. As a former resident of one of those towns, I can tell you they’ve got a lot of great qualities. Whether Mayor Daley will run again is the question on everyone’s mind. People tend to assume he will, and there is no obvious successor. There’s no doubt the recession has hit Chicago hard. There have been huge job losses, the city got big fiscal problems, there were transit cuts, etc. But Chicago is still a talent magnet and boasts a very diverse economy along with an array of urban amenities that most other cities envy. 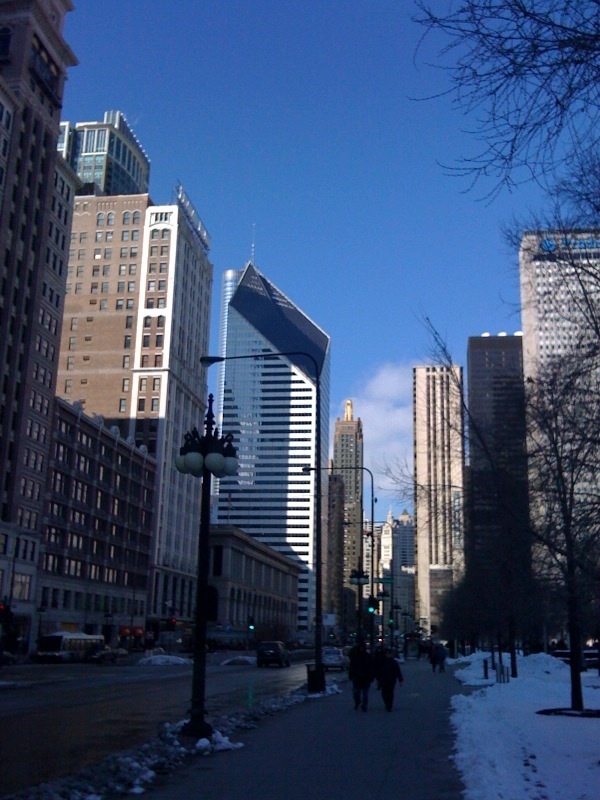 According to Renn, Chicago still has a major upside despite huge job lossess, city fiscal problems and questions about whether Mayor Daley will run for another term. I’m not anti-suburban. I think a great city needs great suburbs and vice versa. We need both a thriving core and prosperous suburbs. In an ever more competitive global economy, every part of a region needs to bring it’s “A game”. Houston, Dallas, Austin, Raleigh-Durham, Seattle, Nashville, New York City, Washington DC, Oklahoma City. Plenty of other places will do ok too. This is a resilient country with a bright future ahead of it. “Keep Austin Weird” has long been the unofficial slogan of Texas’ capital city. From a marketing perspective, it’s niche branding at its best. And true to its motto, the city draws an odd assortment of people—friendly, affable, bohemian sorts who just go with the flow. As the fourth largest city in Texas and 15th largest in the U.S., Austin’s population, currently at 750,000, continues its steady climb up the charts. It could be argued that Austin’s meteoric rise to top-tier status has been an organic evolution, an unconscious reflection of a concept called the Blue Ocean Strategy after a popular book by W. Chan Kim and Renee Mauborgne. This strategy espouses the belief that successful ventures occur through the nurturing of untapped new markets, creating a blue ocean where competition is essentially irrelevant because of uncontested market space. This value based, innovative mindset has propelled Austin into the ranks of the nations top metropolitan areas for commerce and livability. It’s a compelling case study for others cities to examine for their own branding efforts. As cities compete for new residents, businesses and events in an effort to stimulate their economy, they must establish a clear identity that capitalizes on the strengths and idiosyncrasies unique to their metropolitan area. This is true for Indianapolis, a vibrant locale for spectator sports; Orlando and its theme park economy; Portland for its eclectic arts scene; Raleigh-Durham-Chapel Hill for higher education and the Research Triangle. In Austin’s case its eclectic reputation as live music and high-tech hub have catalyzed its standing as a great place to work, live and play. These Blue Ocean cities hold great promise for the future of urban America and its vital role in the growth and sustainability of our nation. So what has ensued from Austin’s weird brand? Much of Austin’s success reflects its growth as a regional and national hub for technological innovation. As a major high-tech center that now rivals notorious Silicon Valley, the city is a boon for engineering and computer science grads. In recent years it has also built a sizable swath of pharmaceutical and biotech companies, adding to the robust job growth and economic vibrancy of the region. As a result, entrepreneurial aliveness resonates in the area, fueled by the success of Whole Foods market, which was founded in Austin as a grocery store with an organic, local, natural foods niche. 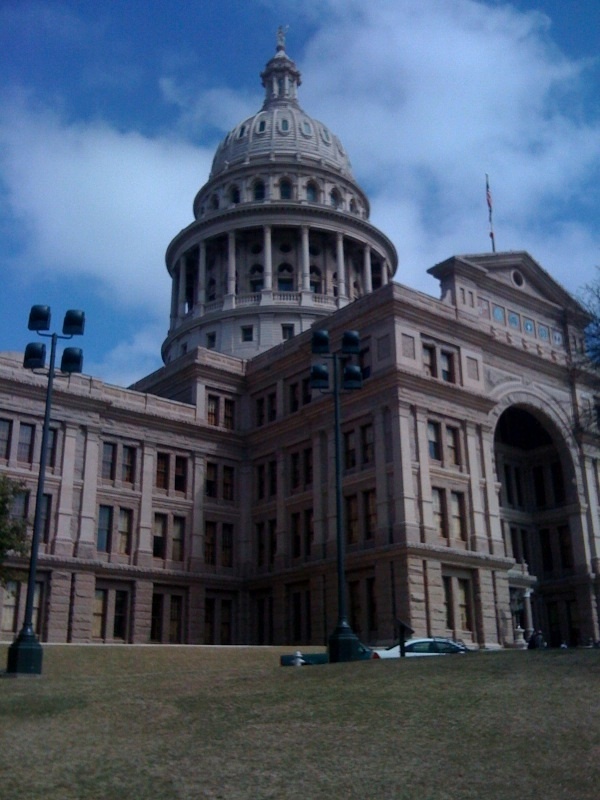 But unlike other U.S. state capitals, Austin’s downtown is the true spoke for the city’s economic engine. Known as the “Live Music Capital of the World,” the central-city corridor is a magnet for music enthusiasts who keep the popular venues along 6th Street and adjacent areas teeming with business. Congress Street, the artery to downtown, offers impressive views of the state capitol building, featuring myriad eateries, coffee houses and eclectic boutiques that appeal to the area’s demographically rich millennial population. Complementing the music scene, Austin also has a nice bit of cred for its local arts scene, featuring the wildly popular annual Austin Film Festival in the fall and several museums, including the Blanton Museum of Art, that reflect a fervent community interest in diversifying Austin’s self-described bizarre image. 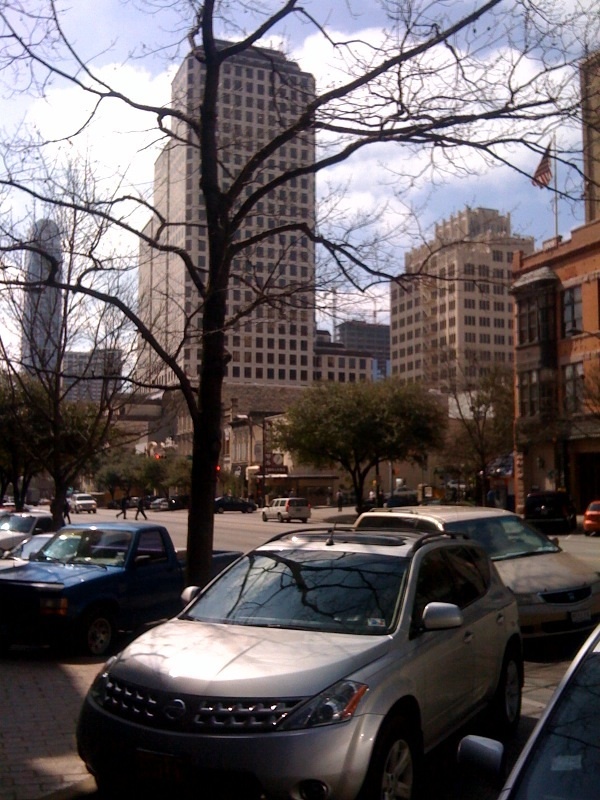 One unique advantage that the city has capitalized on in terms of its downtown core is its co-location with the University of Texas Austin. With a campus population of 51,000 students and 16,000 faculty, UT-Austin is currently the fifth largest single-student campus in the nation. All of this combined with state workers that that dot the landscape in and around the university and the central business district, allow for a robust set of factors fueling the local economy. Perhaps most remarkable is Austin’s stubborn avoidance the same ole status quo ideas. Unlike like numerous other metropolitan areas, Austin refuses to depend on a downtown sports niche for economic development, thereby having the distinction as the largest U.S. city without a major professional sports league franchise. Instead, demonstrating the area’s forward momentum, several new initiatives take shape in the downtown metroplex: skyscrapers with office space and condominiums; a light-rail system that will enhance transportation accessibility; and the mayor champions the goal of adding 25,000 new residents to downtown by 2015. This unique identity, Austin’s weird brand of the Blue Ocean Strategy, allows the city to prosper during tepid economic times.